I was developing a 3D graphics engine for mobile phones to browse X3D contents directly using J2ME until 2001. The framework was a tiny version CyberX3DForJava. 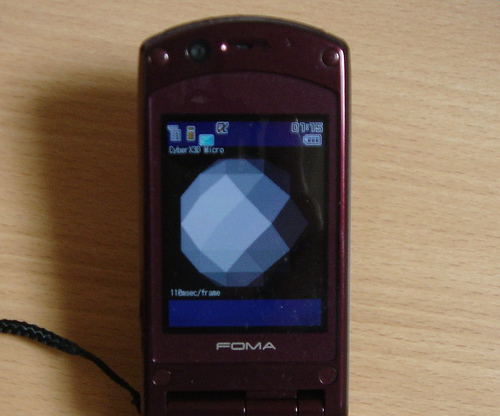 To port CyberX3DForJava into J2ME, I developed my original 3D graphic engine such as the fixed point arithmetic, the flat and gouraud shading routine using only J2ME classes on Japanese mobile phones. I have stopped the development now because X3D does not become popular, but I checked the 3D engine code to be able to run recent mobile phones this week. I could run it with no problem because the 3D engine is based on J2ME.